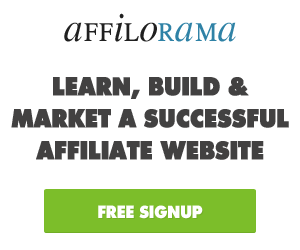 Affilorama has been around since 2005 and is a dedicated affiliate training website helping and guiding internet users to develop their marketing skills within the affiliate business model. The Affilorama Membership includes a very basic entry to more advanced options featuring several plug in tools within the program. Affiloram is one of the better programs on the market and constantly evolving with improvements to keep up with the changes in the growing industry. Affiliate marketers from all levels can benefit from the program as there is everything for anyone with several training modules within each level to suit where you are in your current business development. 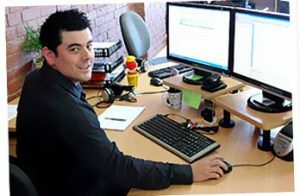 The training guides you towards fundamental website set-up to more advanced promoting techniques. All the training and lessons teach the fundamentals from website building, hosting, marketing, content management plus more. The owners have significant experience not only from being merchants but also being affiliates and promoting other developers products as well as their own. Affilorama starts the training with the basic program with videos and other online tools that you follow step by step. There are a few software applications that can be used for site ranking and analysis tools. These are the lesson modules and each lesson is broken down into a number of individual training programs. 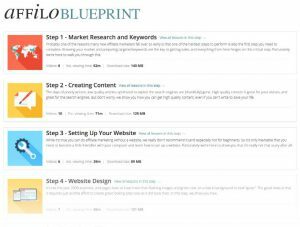 Each has their guidance on how to learn and implement each topic into your business for improvement and building a successful affiliate marketing business. All levels of Affilorama have the support from the members within the community. The forum is where you can ask questions for help and although there may be times when it may take a while for a question to be answered it does give the benefit of getting a detailed answer. Sometimes it can be annoying having to wait though. All of the lessons have threads within the forum with a wealth of questions already answered which makes it easy when and if you come across an issue. This is the core offering from Affilorama which includes training, boot camp, software, hosting, premium tools and forum access. 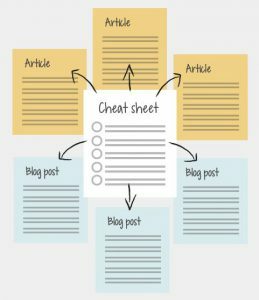 This package includes lessons, videos, niche marketing techniques, research techniques, free traffic methods and others as below. This package is a high ticket niche marketing product with the owner’s products ready to sell and market on automation. The packages contain good information and everything is set up to get you cracking with earnings. You with get access to the following. This is a great way to get some affiliate businesses already set up and already to promote and earn an income. These products are Marks so you will be promoting products that are tried and tested in the market place. You will be earning money for yourself as well for Mark and Simon. So that means that these products are of high quality and well put together for maximum success. My thoughts on Affilorama are that this is a great product which offers a great deal of tools, training and know how to learn and build a successful affiliate marketing business online. Mark has put together a comprehensive course for teaching the newbie but also help the semi experienced/experienced marketer with proven techniques and updating systems and processes as the industry changes and evolves. For the newbie’s, the already to go package, Affilo Jetpack, can slip stream their entry into the market place with great businesses ready to earn. Learning and earning is the way to help people gain confidence and become successful in this industry. I highly recommend signing up to get the free membership and then if you like what you see try out the $1, 30 day trial. From there you will see the benefits of Affilorama and join the many successful happy members with a start to your online income earning. VERDICT: A great course for someone wanting to get serious about affiliate marketing! Get started with your free sign up now! You too can have the best tool in the market place. Feel free to leave a comment if my review was helpful to you.